This slot and tab binding involves no sewing and no adhesives, just cutting slots and tabs into each sheet and inserting one sheet into the next. 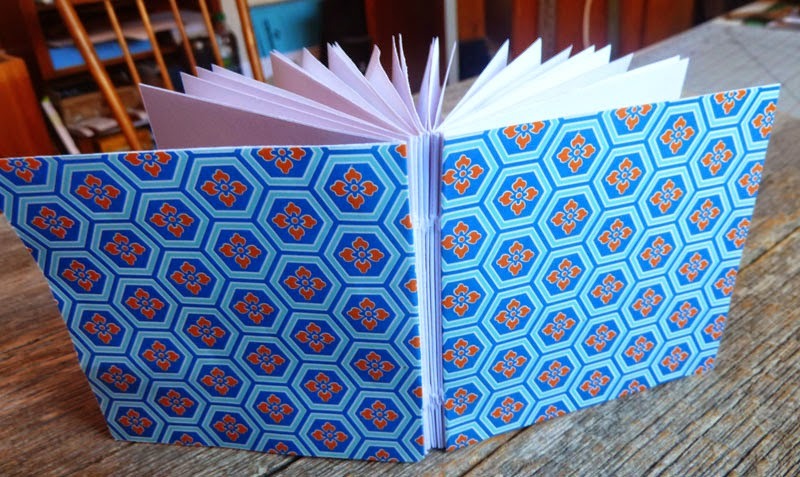 This binding is explained in one of Alisa Golden's books. I am REALLY enjoying your series of showing a binding technique each day! I am amazed by the variety. 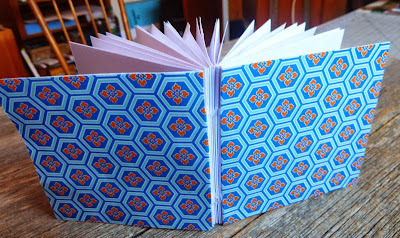 The only binding technique I use with any frequency is Coptic (here's the most recent one I finished: http://tina-koyama.blogspot.com/2015/01/december-january-sketchbook-and-cover.html ; I've made 16 this way). I enjoy the sewing, especially the fact that no gluing is needed, but it's rather time-consuming. Is there a sewing-only technique (no gluing) that is simpler and faster? Thanks for a great blog! Thank you Tina! Your current method will get quicker and easier when you have done more of them. I don't think there are any quick and easy bindings really, but they do get quicker and easier with practice.